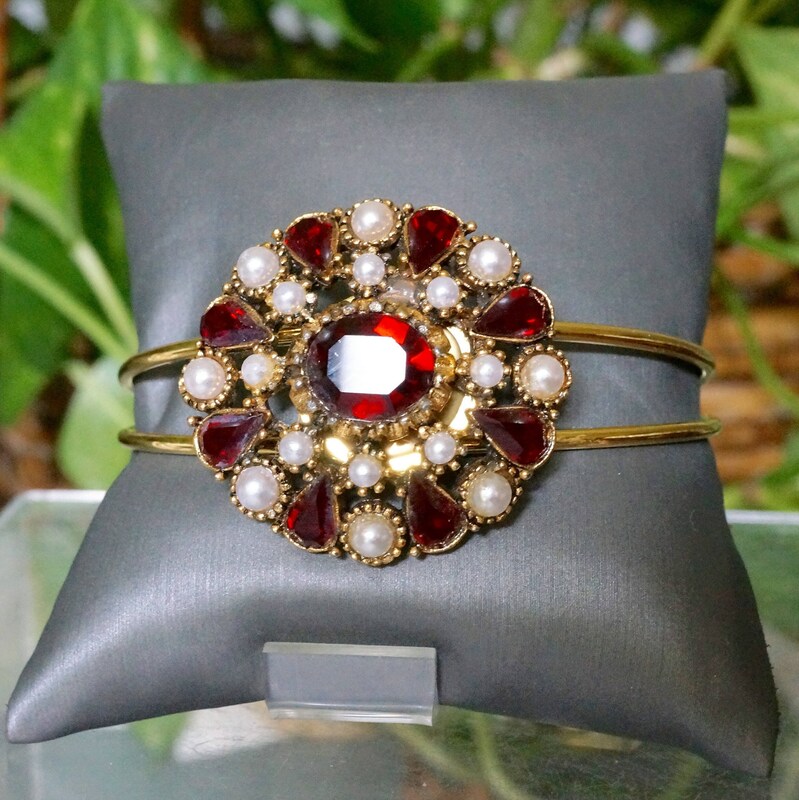 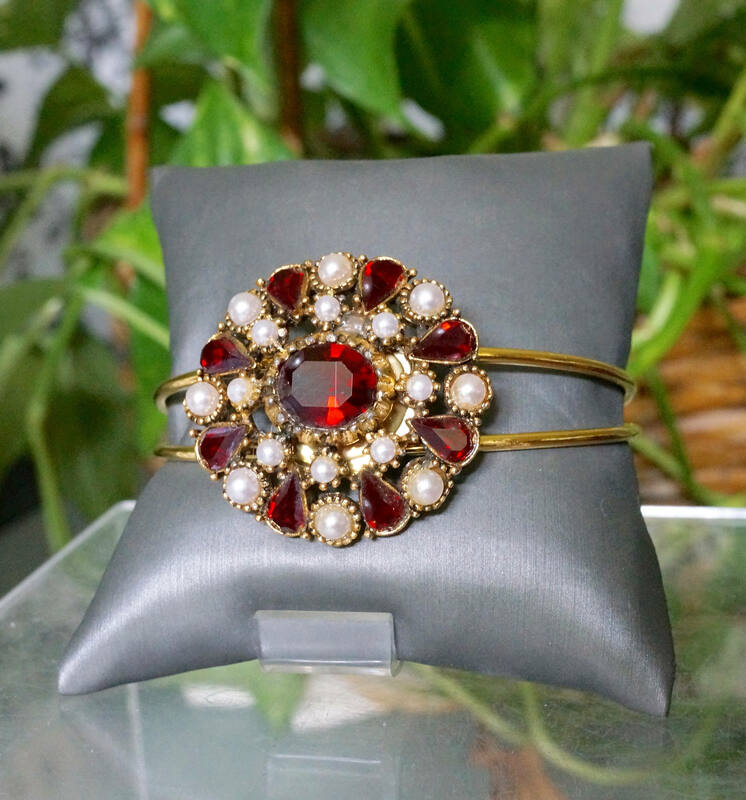 Here you have a statement cuff bracelet made with a repurposed vintage brooch The brooch has ruby color rhinestones and faux pearls on gold metal. 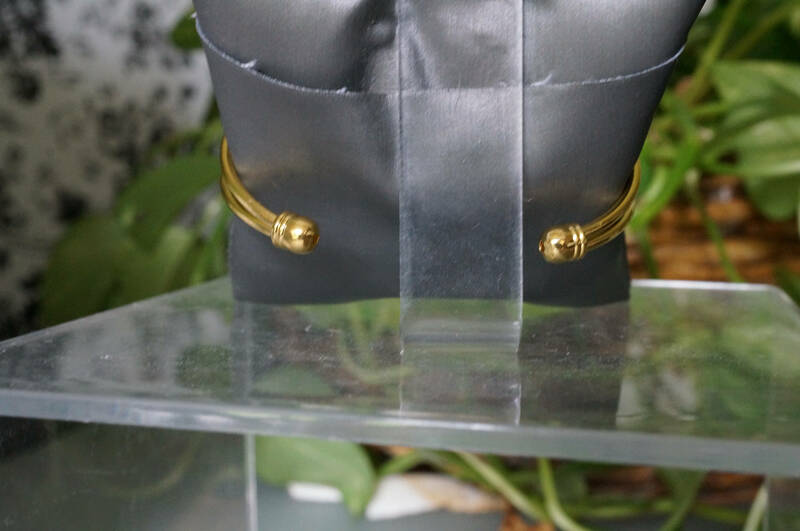 The cuff is gold metal as well. 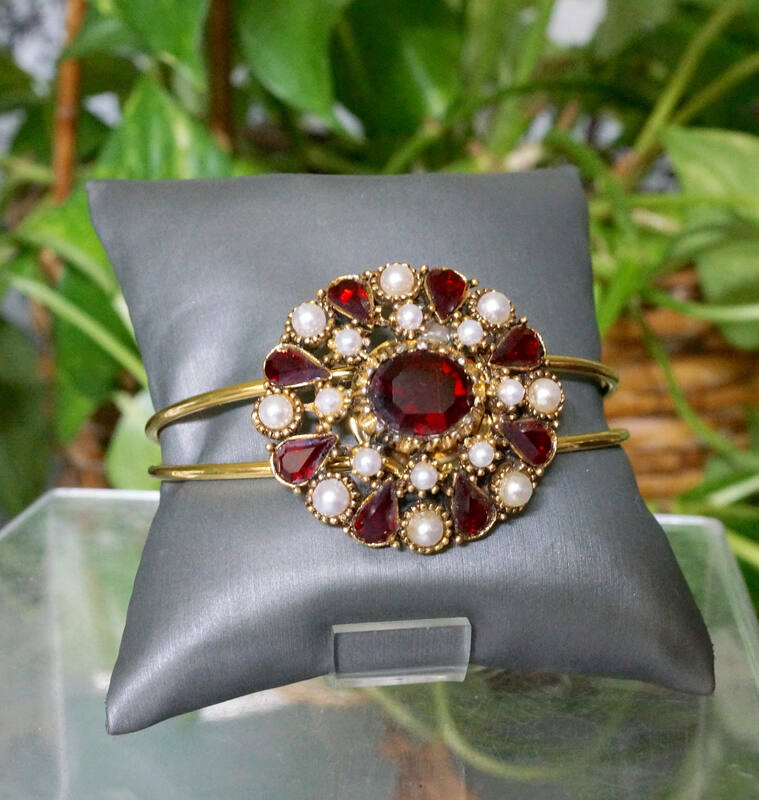 The focal measures 1.5"across.